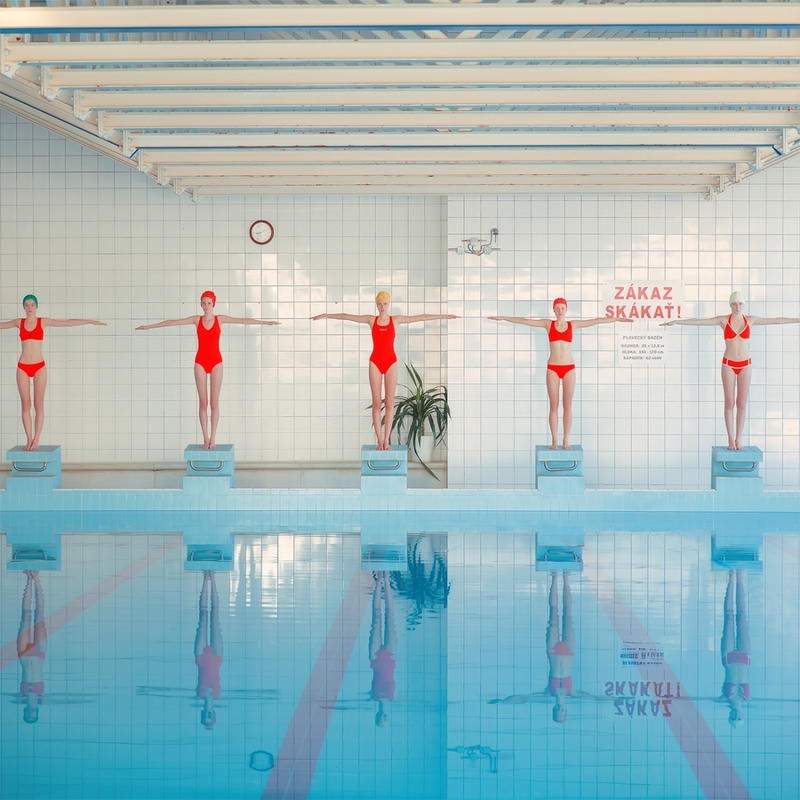 In photographer Maria Svarbova's Swimming Pool, her largest series to date (and featured previously), she continues to dip into her fascination with public swimming baths in Slovakia, ones usually built during the country's socialist era. 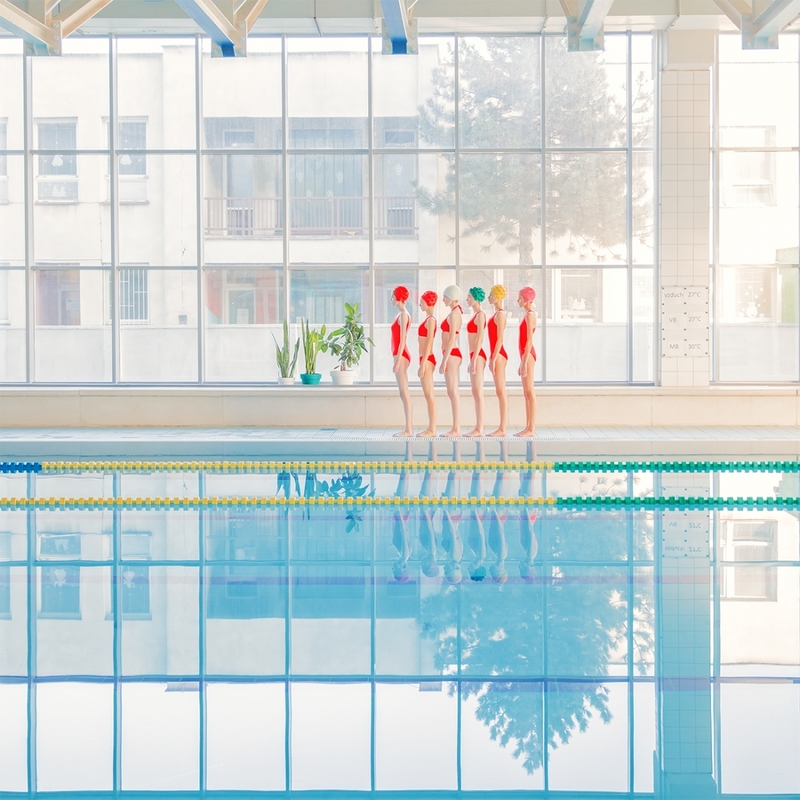 "The figures are mid-movement, but there is no joyful playfulness to them. 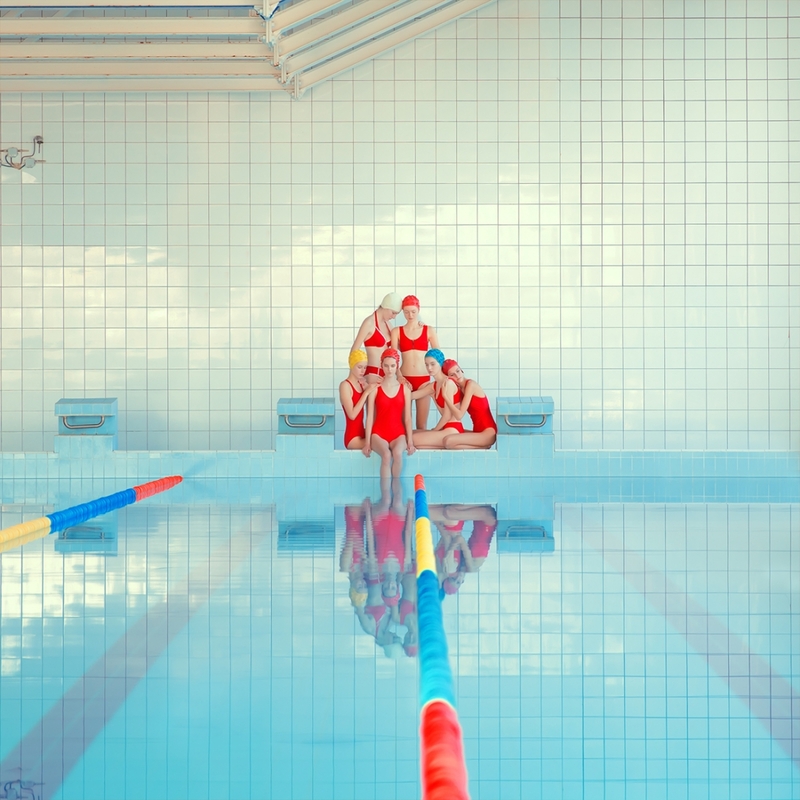 Frozen in the composition, the swimmers are as smooth and cold as the pools' tiles," reads the description on Maria's portfolio. "The colours softly vibrate in a dream-like atmosphere. 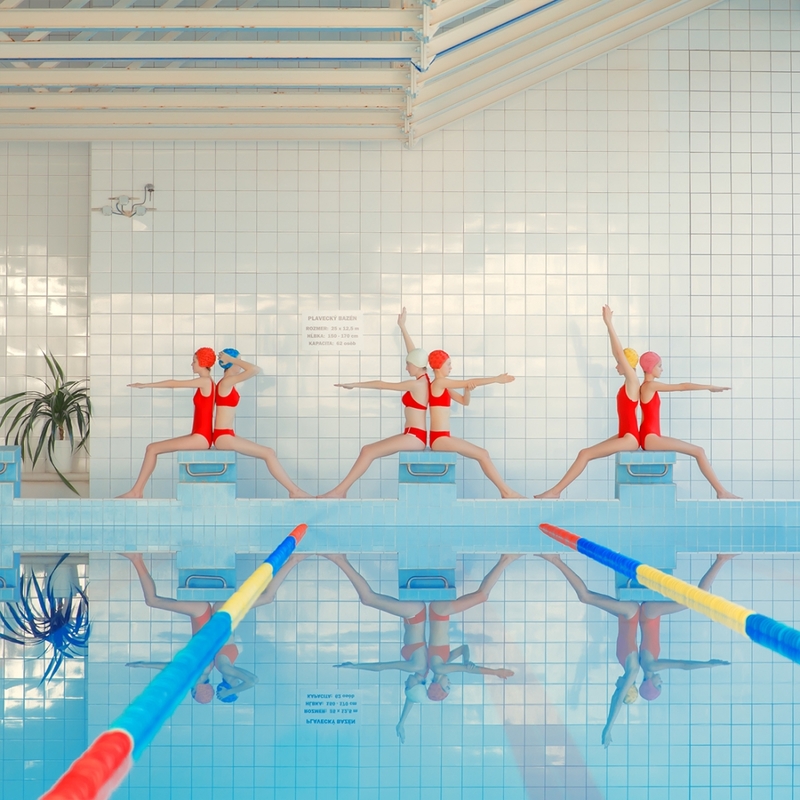 Despite the retro setting, the pictures somehow evoke a futuristic feeling as well, as if they were taken somewhere completely alien. There is no disturbing emotion, there is no individuality in their stillness. The artificial detachment... allows unique visual pleasure, unattainable in real life." This article was originally written by Katy Cowan and appeared here.